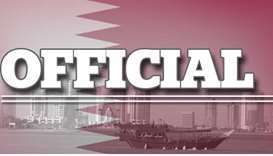 The opening of two new tunnels in September eased traffic congestion coming in and out of The Pearl-Qatar. Nearly 1mn vehicles entered The Pearl-Qatar in October, a 37% increase compared to the same month last year, which contributed to a revival of retail activity in the area, according to United Development Company (UDC), the master developer of the island. The number of vehicles entering the island is tracked through technologically-advanced monitoring devices installed at its entrance. In a statement, UDC noted that these devices registered a daily average of 33,500 vehicles last month, including visitors, tourists, owners, residents and employees. Based on the current traffic flow, the number of vehicles entering The Pearl-Qatar is projected to grow annually from 10mn vehicles in 2016 to more than 11mn this year. 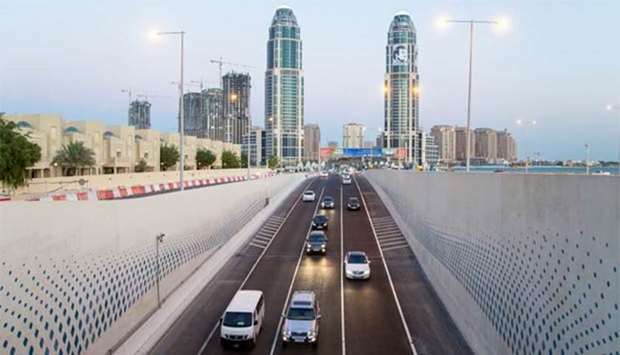 “This increase in vehicles has coincided with the opening of two new tunnels at The Pearl Interchange on Lusail Expressway in September, which has greatly eased traffic congestion coming in and out of The Pearl-Qatar,” UDC said. UDC also noted that the timely construction of these tunnels was a directive of HE the Prime Minister and Interior Minister Sheikh Abdullah bin Nasser bin Khalifa al-Thani, who urged the completion of construction works and delivery of the project ahead of schedule. Since the inauguration of the two tunnels, UDC pointed out that travel time to and from the island was reduced significantly. “This development also added value to UDC and The Pearl-Qatar, which would not have been possible without the support of the Public Works Authority (Ashghal),” UDC said. “Ashghal envisages the development of the country's infrastructure through urban planning, which has positively affected the flow of traffic to and from the island and contributed to the real estate dynamics and community life there,” UDC noted. The demand for the leasing of shops, restaurants and other businesses is also on the rise, making The Pearl-Qatar a preferred place to live, shop and dine and to experience a unique lifestyle experience at one location. According to data showing the influx of vehicles, weekends and holidays are the busiest days with up to 35,000 vehicles entering the island on a typical Thursday. Traffic usually peaks at 4pm daily before gradually declining throughout the remainder of the day. The database also recorded a decrease in the rate of buses and heavy vehicles entering the island by an average 7%, thanks in part to the speedy completion of development projects on the island.